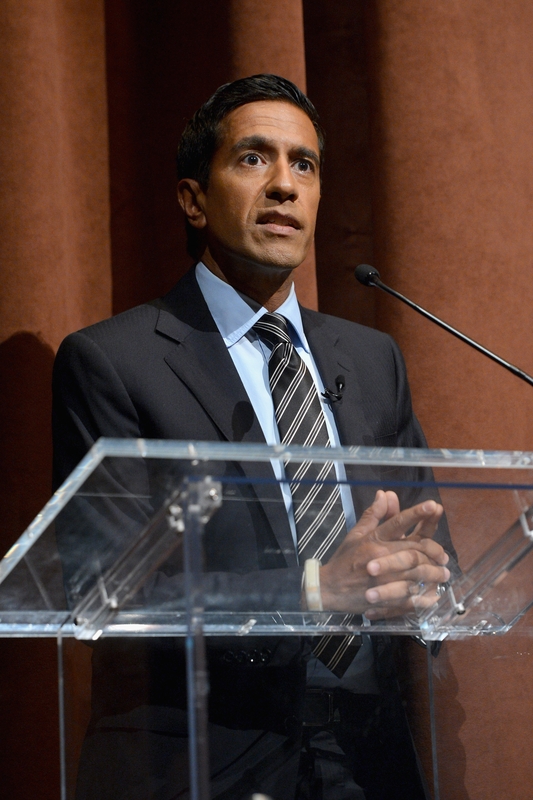 Dr. Sanjay Gupta gave insights into his career in UB’s Alumni Arena. The most compelling story that television journalist and neurosurgeon Dr. Sanjay Gupta told Wednesday evening involved his sudden shift from one role to the other when he was covering the war in Iraq. Appearing in Alumni Arena on the University at Buffalo North Campus in Amherst as part of UB’s Distinguished Speaker Series, he told how he was embedded with a team of medics working in tents close to a battle zone when he was called upon to perform emergency brain surgery on a Marine who was near death. After removing a bullet, he said, he had to improvise a sterile covering by cutting open an IV bag and pressing the clean interior surface against the incision. Gupta, the Emmy Award-winning chief medical correspondent for CNN and a contributor to CBS’ “60 Minutes,” noted during his question period that he had come under considerable criticism for this. Gupta spoke extensively about the challenges of switching from journalism to medicine as he gave insights into his career during his 45-minute talk. It wasn’t until the question period, however, that he addressed what might have been his third profession – the post of U.S. surgeon general, for which he was President Obama’s original choice in 2009. Another question brought up the change in his opposition to medical marijuana.